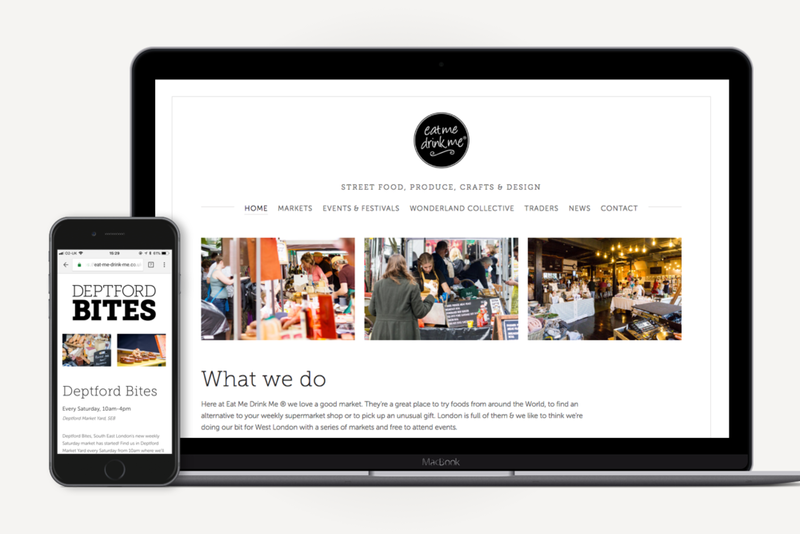 We helped west London based street food and market organisers, Eat Me Drink Me, revamp their website to reflect their new markets and refresh their online presence. Using the Squarespace platform, we developed a quick solution that allowed them to add new markets and events easily whilst maintaining a clean and simple design style. The website design was based on a responsive template that we customised to better reflect the brand guidelines and degrade better on mobile browsers. Over time we have continued to build upon the website, adding functionality for traders to register and apply for events and markets, as well as the ability to feature traders throughout the site.